Are you looking for a beginning art lesson for your child? Do you want an experienced art teacher instructing your child through the creative process? 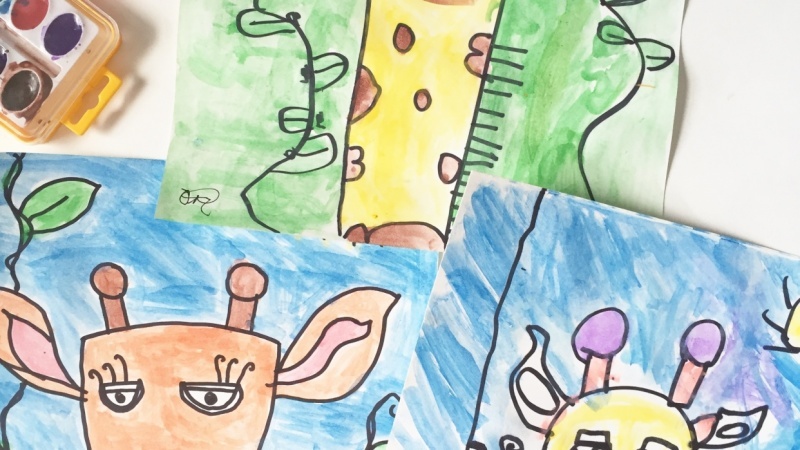 The Jolly Giraffe Art Lesson may be just what you are looking for! Designed with beginners in mind, this lesson is perfect for children ages 6-10 years old. The teaching process used for the drawing portion of the project is a kid-tested, step-by-step method that will both inspire and delight your child into drawing action! This process involves organizing shapes and lines together until a recognizable outcome is achieved. After students complete the drawing portion of their project, they will move onto painting the project. Students will learn basic watercolor techniques and apply these techniques to complete their project. This lesson is designed to give young children the tools they need to begin their artistic journey into self-expression, reflection, and creative thinking. 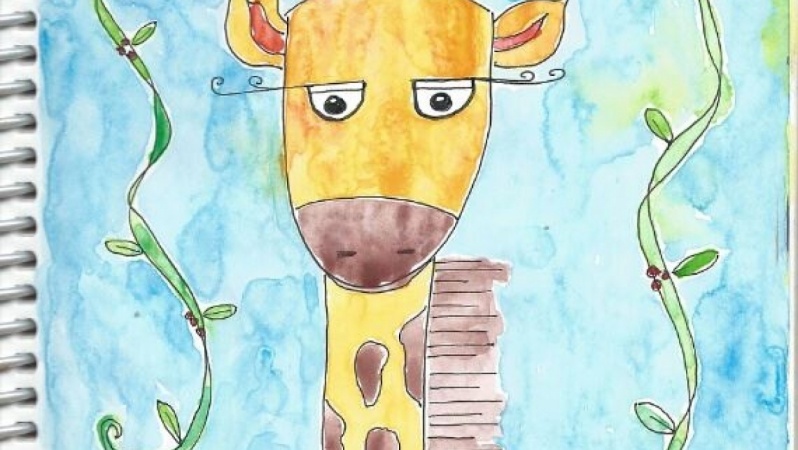 Are You Ready to Create a Jolly Giraffe? Hi. My name is Em Winn and teaching art to children is what I love to do! I pride myself on creating dynamic, meaningful, and engaging art lessons that are taught in a relaxing and joyful way. I have nearly 20 years teaching experience in the elementary classroom and in the art studio, and I feel that I have a good grasp on how to create a learning environment that makes children feel happy, motivated, confident, and successful. Let the creative fun begin!